Helderline is a private initiative from Kees Helder - hence Helderline. The Helderline part referres to a shipping line. 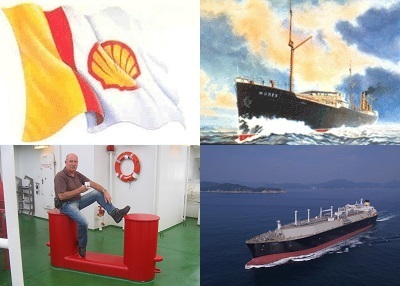 Kees' hobby is to gather as many information and pictures of Shell tankers, and get in touch with former colleagues. Helderline is no company and does not provide any kind of service, other than beeing a platform for Shell tanker fanatics. Except that the ships on this site have all sailed for Shell, Helderline is not related to Shell. On this site you'll find over two thousand ships of Shell Tankers built between 1867 and 2017. As well as the ships of The Eagle Tanker Company Ltd, built between 1912 and 1959. Now the Oil- and Gas- fleet managed by Shell International Trading and Shipping Comp. London. Besides that, over eight thousand visitors have registered themselves here, and they added themselves as member of the crew for 28.500 times. No less than 3.000 guestbook messages and 1.200 anedcotes were shared at Helderline. The 5.500 photos and images show the 2242 ships, which are classified in 79 classes, 17 types of cargo, 308 managing companies, 399 yards and 60 countries. We even have 602 ships of which we know the current location. I sailed in the sixties on the Abida, Vitrea, Koratia and the Kosicia.